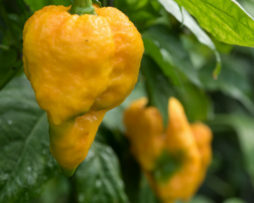 The Habajig is a crazy cross we got from a friend and we don’t know much about it except it is a cross between a Hab Big Sun and a Fatalii Gourmet Jigsaw. 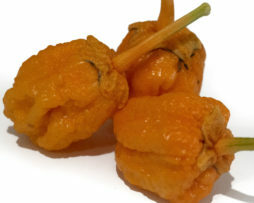 The pods are ginormous at about palm size and they are burn your eyebrows off hot. If you are one of those people who love to grow unstable crosses this one at around F4 may be enticing. 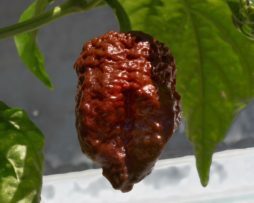 The Habajig is a crazy good producer and is great made into chilli powder. Grow it just to see what interesting results you get. 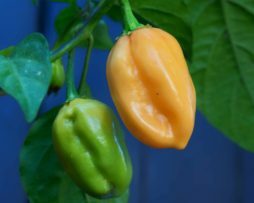 Well this is interesting – A Jalapeno type chilli pepper that has an apple/honey flavour. Mmmm Mmmm… Honeypeno what a great name too. 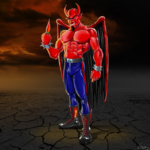 This one was created by Pepperlover for extra sweetness. 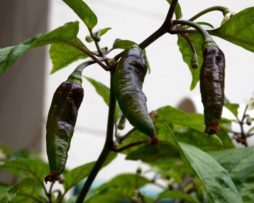 It is very mild in heat and can be used like all Jalapeno’s – poppers or pickled would be a good choice. 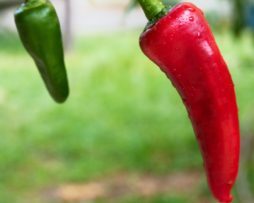 Around the same size as a regular Jalapeno the Honeypeno is slightly more tapered at the bottom. We love it and we know you will too. 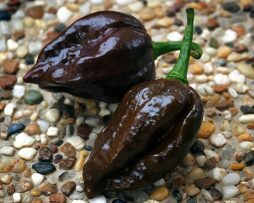 Collectors of rare and unusual chillies will love this one. The Orange Frutgum will astound and delight growers no matter how it produces. 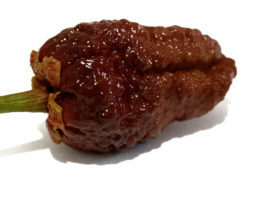 A relatively unstable chilli variety, this one is said to be a cross between a Purple Frutgum and an Orange Bubblegum. 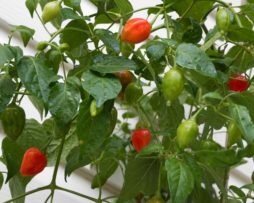 We obtained seeds from the one and only Alice Lennard who grows the most amazing chillies. 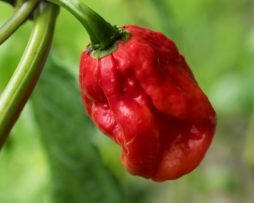 Have a go at growing this one and see what you get. 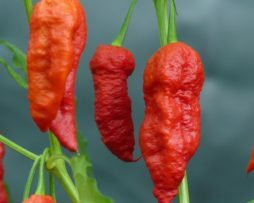 For us it was a delight of purple pods slowly turning to a stunning orange. It has an orange bleed up the stem making it a Bubblegum stand out. But don’t let it’s prettiness fool you, this one packs a punch when it comes to heat. A little tear drop shaped treasure to behold. This one is a curious cross between a Tepin and Aji Lemon Drop. We think this one is now 6th generation so pretty close to being stable. Another super prolific variety that we just love the flavour of. Would make a beautiful chutney or jam given its sweet thick walled flesh. Oh and for you lazy gardeners its super easy maintenance so long as you keep it hydrated. 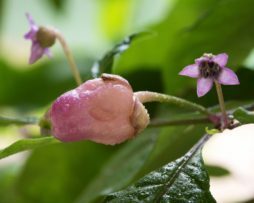 Plant is relatively compact and grows to around 60cms tall.